Disney World is full of Hidden Secrets that most guests never learn about, but are available to everyone. 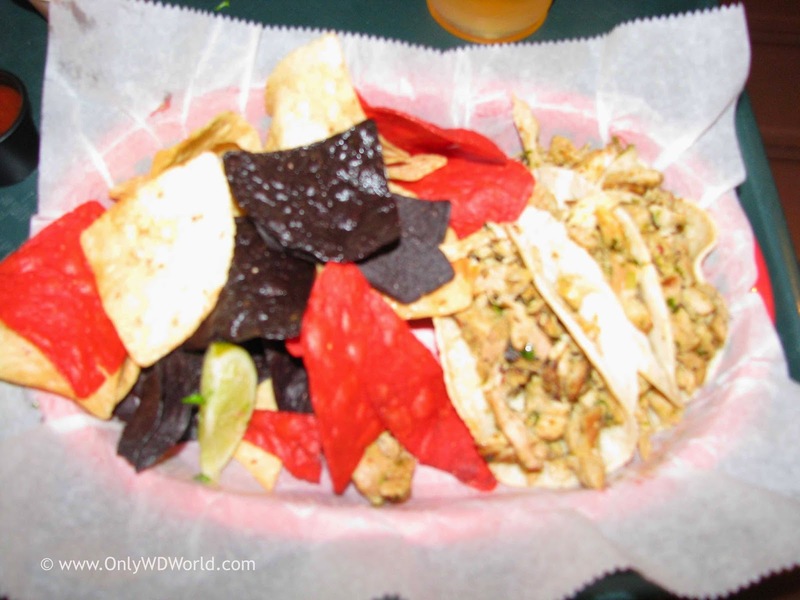 Today we visit the World Showcase in Epcot to discover the Hidden Secret at La Cantina Quick Service Restaurant. 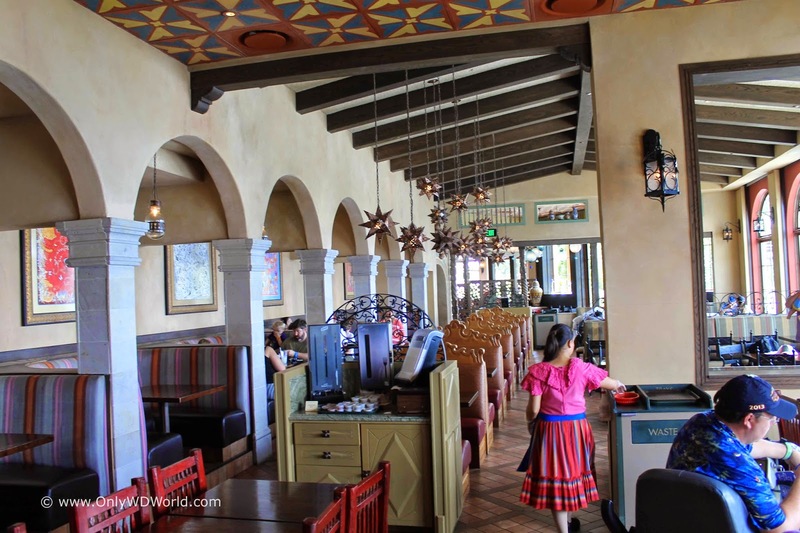 The very popular La Cantina Quick Service Restaurant that is found in the Mexico Pavilion in Epcot has a beautiful waterfront setting with seating that overlooks the World Showcase Lagoon. 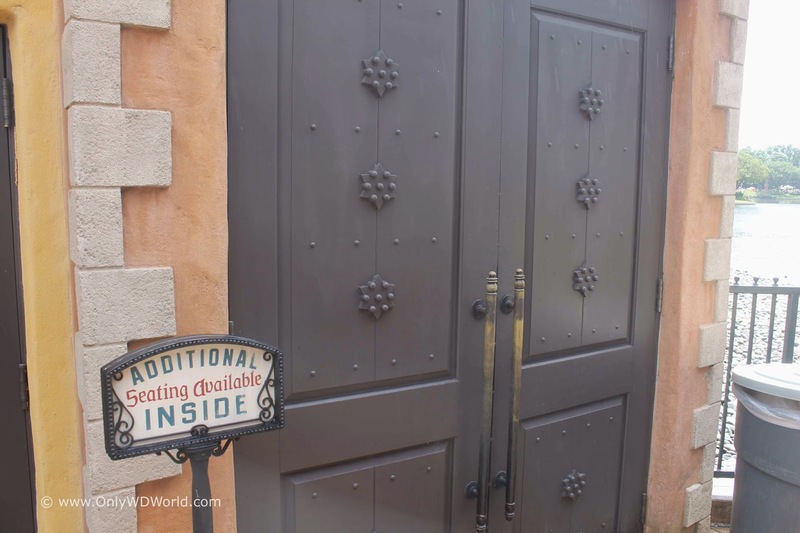 The Hidden Secret that many people do not realize is that during the Lunch hours every day diners at La Cantina may enter this door to dine inside the La Hacienda de San Angel table service restaurant that is only open during dinner hours. 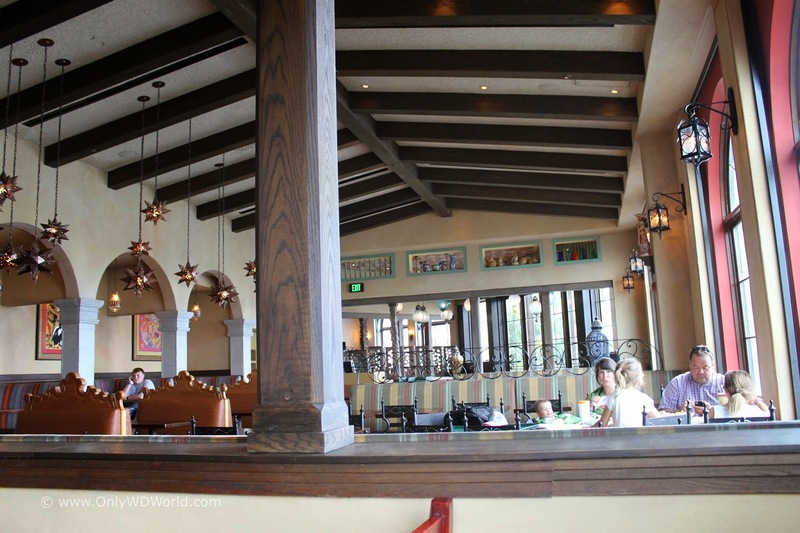 While you enjoy your inexpensive (relatively speaking) food from La Cantina, you can dine in the posh setting of La Hacienda de San Angel! This is a fact that very few people realize, even when it becomes standing room only for the outside seating, it is calm and quiet inside. This is especially good to know on rainy days. 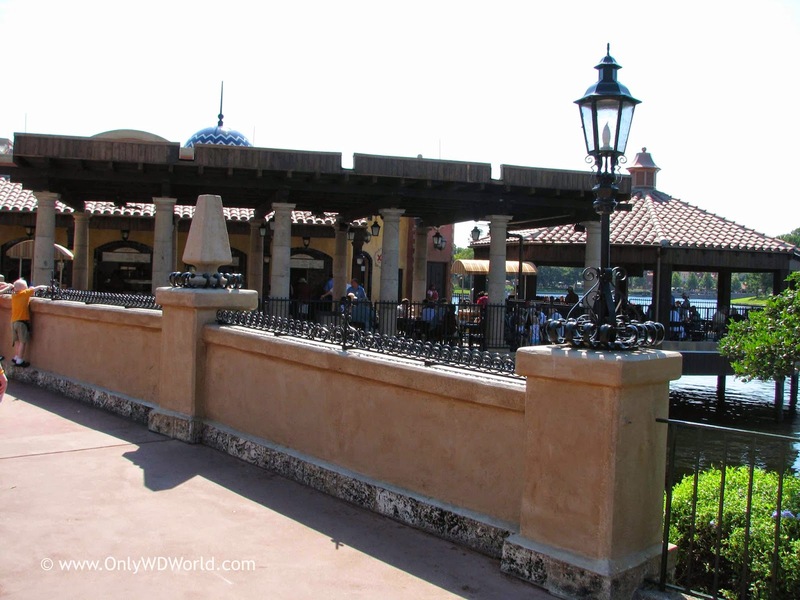 The restaurant affords wonderful views of the World Showcase making this a great choice for lunch. The food is great. 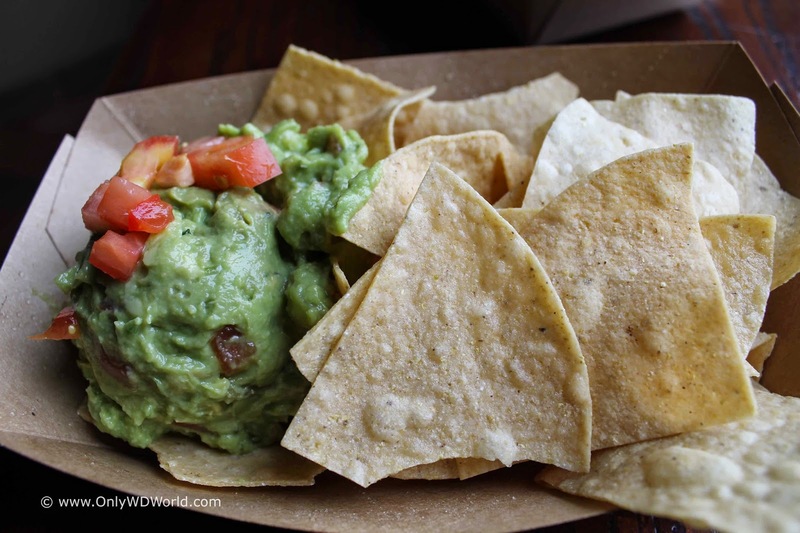 Whether you choose the great guacamole and chips for a snack or appetizer or get one of the freshly made taco meals, you can't go wrong. Be A Disney World Expert! 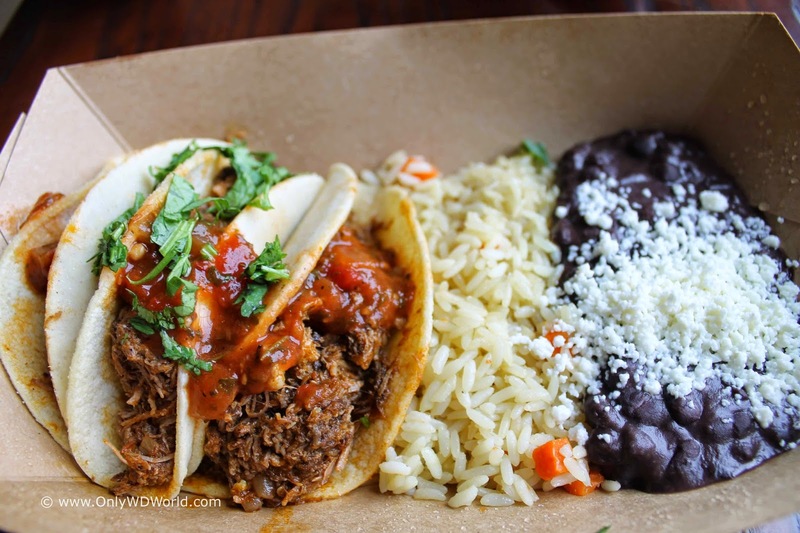 The next time that you visit Epcot, suggest to your family or group that you visit La Cantina for lunch and steer them inside to the Disney World Hidden Secret seating to show off your Disney World expertise. This is sure to impress and provide a great relaxing setting for lunch! 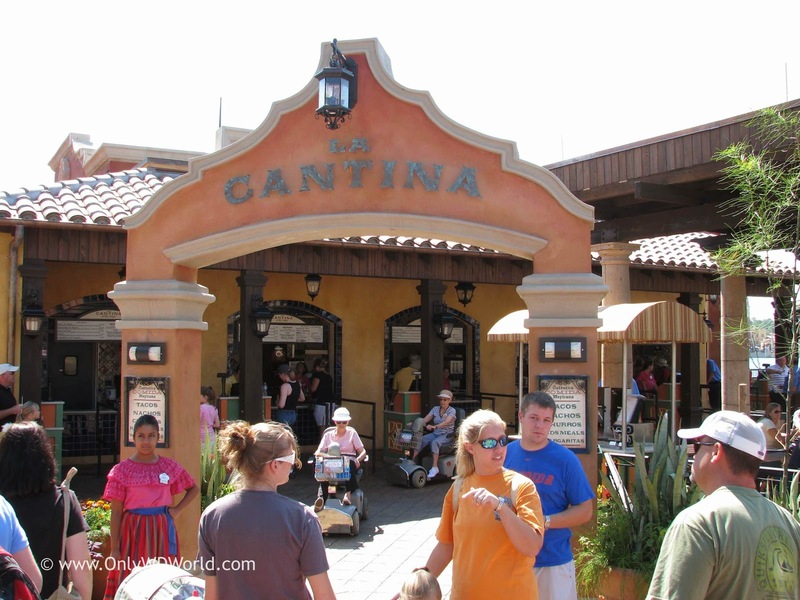 0 comments to "Disney World Hidden Secret: La Cantina Quick Service Restaurant"